According to visitors' experience in Burma, Myanmar is considered a country where trade management is fairly correct. 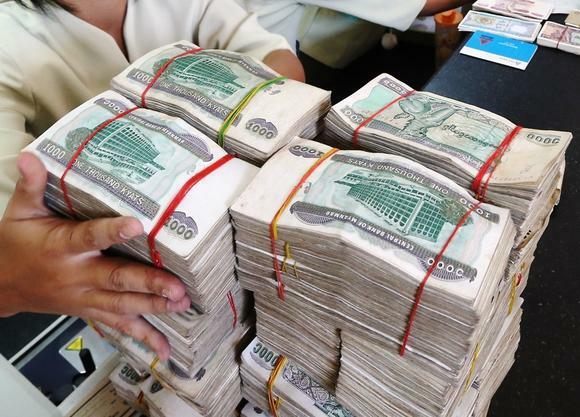 The Burmese currency market generally stabilizes. When you make your Myanmar travel, using US Dollars or Kyats, the national currency of Myanmar, is extremely easy. By observing the exchange rate for Dollar to Kyat, you may find that there are not many changes in time. During your trip to Myanmar, you will have to bring US Dollars to be guaranteed that you can be able to use them in all the services of this country. Once at airports, you can change some local money to use during your Burma tours. However, the exchange rate at airports or in public banks is not good. The rate is generally lower than the market rate. Therefore, you will be able to use small-valued dollars to use in basic services before changing your money into Myanmar Kyat. The market rate is about $ 1 against 1000 kyats. Money exchange offices are everywhere. If you arrive in Yangon or in the new capital Naypyitaw, the exchange of money will not be a problem. However, if you are familiar with credit cards, it is recommended that you turn to large shopping malls or traditional banks. The reason is very simple that money distributors are rare in Burma. Credit card payments in restaurants, supermarkets are underdeveloped. The best option is to bring cash that guarantees its use in almost all services in the country. If you are traveling from Vietnam, it should be noticed that you must not exceed $ 7,000 in your pocket, as this is a violation of Vietnamese law. Returning from your Burma trip, it is forbidden to take Burmese currency out of Myanmar territory. The amount of dollar you take out of the country after your Myanmar travel must also not exceed the amount you took in before. The Kyat currency has many denominations, from 1 to 5,000 kyats. However, 5000 kyat notes are rarely used. In general, when you change money, you will get banknotes worth less than 1,000. If you change $ 100, you will get a large amount of small kyat currency. If you do not want to carry a large amount of cash, you will need to use the US Dollar. Most stores in Myanmar accept US banknotes but only under the circumstance that the notes are clean and in good condition. In general, a drink in Myanmar costs about $ 2 and the food is $ 5. So with the exchange rate of a $ 1 against 1,000 kyats, you will have trouble transporting local currency because it will make a lot of notes.